Quality of management, bullying and recruitment processes have been flagged up as areas of "real concern" in BBC News following a staff survey. Director of News and Current Affairs James Harding yesterday told his division that "there are clearly many problems, frustrations and uncertainties" to address after the results of the survey, completed at the end of 2014, were returned. Press Gazette has seen results for the BBC as a whole and for BBC News, which is the corporation's biggest division with around 7,600 staff out of nearly 20,000. Some 31 per cent of news division staff who filled out the survey believe that "there are fair, open processes for filling internal vacancies". This compares with 38 per cent of respondents who believed this in the corporation as a whole. These figures come after the BBC has faced criticism for the way it has recruited certain high-profile journalists. 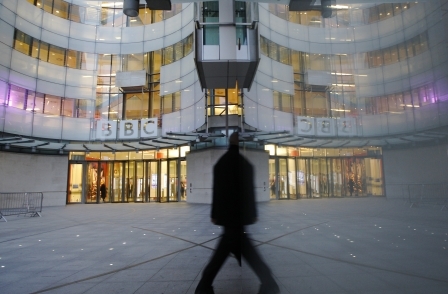 The appointments of Lucy Manning and Ed Campbell from ITN last summer sparked outrage among BBC News staff who were informed soon afterwards of 415 redundancies. More recently, Press Gazette understands some insiders felt "a great deal of unhappiness" about the way journalists were recruited to work on Victoria Derbyshire's new BBC Two programme, announced this week. Bullying was flagged up as another area for concern in both the News division in particular, and across the corporation. Harding revealed that 34 per cent of his staff "have confidence that, if they experienced or saw bullying or harassment, taking action would have a positive outcome". This compared with 42 per cent across the BBC. Elsewhere, 34 per cent of News staff "have confidence in decisions made by the BBC Executive Team and the Divisional Leadership Team" compared with 42 per cent across the corporation as a whole. And 35 per cent of the News division "feel fairly rewarded through pay, benefits and flexible options" compared with 38 per cent overall. The highest scores in the News division were: 93 per cent “feel they demonstrate the BBC values in the way they work”, 91 per cent “are proud to work for the BBC”, 77 per cent “understand the BBC’s strategy and objectives”, and 75 per cent “feel your line manager treats you with respect”. Staff across the corporation were also sent an email from HR director Valerie Hughes-D’Aeth, who highlighted similar areas for concern to Harding. Some 47 per cent of staff said they believed “the BBC is doing the right things to ensure that it improves value for money through more efficient and open BBC”. Hughes-D’Aeth said 55 per cent of staff (13,181) staff filled out the survey, as did 46 per cent (1,558) of freelances and contractors.